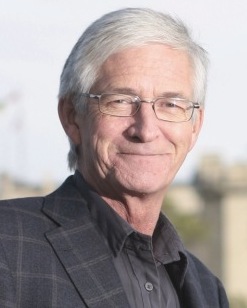 “Passing more costs to patients and draining the public health care system of resources and professionals is not about innovation or choice; it is the return to the days before Medicare,” wrote Tom Graham, President of CUPE Saskatchewan, in a letter to the editor challenging the provincial government’s introduction of two-tier health care with user-pay MRI scan legislation. 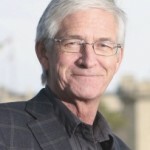 Graham noted other jurisdictions that have experimented with private pay-per-use scans witnessed an overall increase in wait times, while investment in the public health care system has reduced Saskatchewan’s wait times. Re: Paying for quicker care good option (SP, May 25). Columnist Jordon Cooper begins by acknowledging private MRI clinics will lead to two-tier health care. On this point he is correct. Not many people can afford to pay privately for an MRI scan that costs between $600 and $2,400. Allowing it means the well-off can jump the queue. This is completely contrary to the founding principle of medicare that need, not one’s ability to pay, should determine access to care. Cooper also ignores the facts. Saskatchewan has improved public capacity and actually reduced wait times. The government’s news releases note our hospitals have six publicly operated MRI machines. This increased public capacity has resulted in a doubling to 33,000 from 15,700 the number of people receiving MRI scans in the last seven years, the government says. As a result of increased public investment, wait times are going down. In 2013, 90 per cent of Saskatchewan patients (including non-urgent cases) waiting for MRIs received a scan within 88 days compared to 247 days in Alberta, according to the Canadian Institute for Health Information. Studies show other jurisdictions that have experimented with the pay-per-use model witnessed an increase in overall wait times as private clinics poached health professionals from the public system. Passing more costs to patients and draining the public health care system of resources and professionals is not about innovation or choice; it is the return to the days before medicare. There is simply no justification for user-pay MRIs.